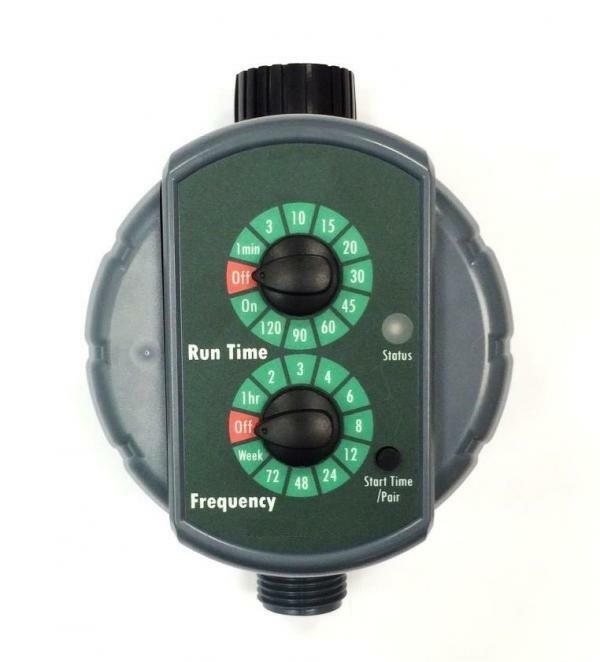 App Control BT Timer(SI-1000; SI-1050) - Plastico Corp. The most compact-sized smart blue-tooth timer for garden watering and micro dripping. This newly designed tap timer is simply powered by two AA batteries and easy-to-program dial settings. The ball valve mechanism provides consistent performance and increased reliability for home and garden hose and drip irrigation systems. Easy Accesss: Turn on and off water, set up watering schedule, with the free app, from the comfort of your couch. No more getting out in the rain, fumbling with keypads in the dark, or fighting through swarms of bugs or spider webs to change your programs. Easy Installation: connects directly to your faucet and hose. No tools necessary. Weather Forecast: The app automatically syncs to your local weather. Obtain updated weather for reference. Modify the watering program or change to manual watering in just a few taps.